Canada’s liquor control boards – the provincially run bodies that control the sale of alcohol to Canadians – have proven surprisingly adept at enduring through calls for lower prices and greater consumer choice. But as I argue in a new commentary for MLI, that doesn’t make them immortal. The fact that they have survived so long is itself a tribute to their political advantages for provincial governments, even as their economic advantages are gradually eroding under the onslaught of the consumer power revolution. In this Commentary, based on a talk I gave to the Canadian Association of Liquor Jurisdictions, I lay out the strengths and the challenges liquor monopolies must manage if they are to survive and how their world is changing thanks, among other things, to increased judicial scrutiny of trade barriers as well as the traditional objections of consumers and taxpayers. We live in a world driven by the power of the consumer, and regulatory obstacles to consumers getting what they want are falling all around us. That has bodies such as the provincial liquor boards, with their monopolies, lack of choice and high prices, swimming against the historical tide. Energy East, TransCanada Pipeline’s proposal to bring Alberta crude to the east coast, has a lot to be said for it. Unfortunately, a lot of it is not true! Don’t get me wrong–this is a good proposal that deserves to succeed. It is just that many of its friends are selling it on the basis of improbable claims instead of the good solid business case behind it. Read my latest Globe column for the inside story. A number of readers of my review of Harvey Sawler’s book about Frank McKenna, published in The Globe, have once again raised the issue that they don’t understand what McKenna accomplished in New Brunswick during his tenure there. I was on the Editorial Board at The Globe when McKenna retired as premier, and wrote this editorial which, I believe, constitutes a fair and balanced overview of his accomplishments and weaknesses as premier. Here is the full text of my review of Frank McKenna: Beyond Politics, which appeared in the Globe and Mail on February 11. Contrary to his critics, I believe that McKenna was a pivotal figure in New Brunswick’s political history, and also that he showed, in his brief time in that office, that he would have been one of the most influential ambassadors ever for Canada in Washington DC. And by the way, my proposed head for this review had nothing to do with the best PM we’ll never have. My suggestion was “Leave this Man Alone”. Just when you thought it was safe to go into the water again…Tom Adams and I are back with another commentary on the NB Power-QC Hydro deal. This one is an updated version of the essay we published last week in the Globe, but this one appears in today’s Saint John TJ…and it has already sparked a huge amount of comment on the TJ page. Check it out. NB Power-Hydro QC: Grab the money and Run! In today’s Globe and Mail, Tom Adams and I have another run at the proposed NB Power-Quebec-Hydro deal put forward by NB Premier Sean Graham and QC Premier Jean Charest. As readers of this blog will know, I think this deal is a dream proposition for New Brunswickers. Ten years from now, if it goes through, people will look back and bless the name of Sean Graham, the premier who had the balls to propose it. As Tom and I show in the essay in the Globe, far from being the “province’s crown jewel” of much overheated anti-deal rhetoric, NB Power has been a poorly managed mess for years. It has drowned the province in huge debt, locked them into high-cost and low-productivity generation, and encouraged politicians to play politics with electricity rates. The multi-billion dollar debt the utility has accumulated is a millstone around the province’s neck. This deal will allow the province to rid itself of that debt with the stroke of a pen. It will see residential rates frozen for 5 years (they’ve risen faster than inflation — 27% in the last 5 years alone), after which they will track inflation. That’s a better deal than QC-Hydro’s own customers have got in recent years. Major industrial users will benefit from a 30% cut in their power rates, a major boost to competitiveness. Future increases in electricity demand can easily be met from Quebec’s plentiful, green and low-cost hydro base. The electricity business will still be subject to regulation by the NB authorities. 1) that this gives Quebec blocking power on future electricity development in other eastern provinces because QC will be able to block access to the US market. Uhhhh, no. Quebec is itself a major exporter to the US and would like to sell a lot more. That access to the US market comes with conditions. QC-Hydro must have a licence to export from the Americans’ Federal Energy Regulatory Commission (FERC). FERC regulations unambiguously require anyone exporting to the US to allow open market access to their jurisdiction from other suppliers. If Quebec tried to exploit their geographic advantage by blocking electricity exports from, say, NL or NS, they would lose their FERC licence and with it their access to the US market. It would be incredibly self-damaging for no gain. Won’t happen folks. 2) NB is just exchanging one electricity monopoly for another. Yes, true. And yes, I would prefer to see both QC-Hydro AND NB Power broken up and sold, creating a genuine competitive electricity market in eastern Canada. That’s not happening anytime soon. What we’ve got is this: under the proposed deal, NB is still subject to a monopoly supplier of electricity. That supplier is still subject to the regulatory authority of NBers. It is the status quo in that regard, so they are no worse off. By contrast, they get rid of more than $4-billion in debt, access to lower cost sources of electricity, remove local politics from a lot of power decisions, improved competitiveness for many major industries, and can expect much better rate performance than they’ve got from NB Power for years and years. So it’s not competition, but a huge improvement on the status quo. Let’s not let the perfect become the enemy of the good here. My main criticism of the deal: rather than springing it, Meech Lake-like, on the public, the province should have announced that the utility was for sale and invited proposals. The QC-Hydro deal is a clear improvement on the status quo, but we don’t know how it rates compared to other alternatives that might have been put on the table. In 2009, NB’s way of proceeding seems old-fashioned and paternalistic. If they’d gone ahead in a more open manner, they probably could have managed public opinion better. Still, when the emotional reaction eases a bit, and NBers can look at this deal in the cold light of day, I think they’ll realise they’ve been given a gift — a free pass out of their own self-created electricity mess. They should take it. The proposed deal between NB Power and Hydro-Quebec brightens New Brunswickâ€™s future. Consumers and taxpayers would reap huge savings while the provinceâ€™s public finances would be transformed for the better overnight. Industrial users would immediately move to rate parity with comparable users in Quebec, where power prices are among the lowest in the world. Households, small businesses and institutional customers, for whom NB Power was planning rate increases of 3% per year out into the future, would get rates frozen for five years and regulated rates after that. What does the future hold for New Brunswickers under this deal? Mr. VolpÃ© complains that rates for non-industrial customers after the rate freeze expires will increase at inflation and that potential future growth in demand will be served by power at market prices. Of course, NB Powerâ€™s rates have been rising faster than inflation and will continue this pace if the deal does not go through. NB Powerâ€™s recently acquired new supplies of generation are priced well above market. NB Powerâ€™s government-guaranteed debt, which Hydro Quebec is taking over, is about $12,600 per customer. That monkey will be off New Brunswickâ€™s back. NB Powerâ€™s operating costs and rates are some of the highest of any utility in Canada and both are under severe upward pressure. In most years New Brunswickers are lucky if the utility breaks even; punishing losses are frequent.Â Those losses will no longer be backstopped by provincial taxpayers. Notwithstanding guaranteeing rate decreases and freezes, Hydro Quebec says the transaction will be profitable from year one, with an astounding expected return on equity of more than 10 per cent â€“ well above the average return for Canadian utilities. Hydro Quebecâ€™s decision to take over NB Power is obviously based on Quebecâ€™s assessment that it will have surplus electricity at rock bottom cost well into the future. Hydro Quebecâ€™s sharply declining export revenues, declining load across the region, persistent negative prices in Ontarioâ€™s wholesale power market this year, and low market prices in New England, support the view that power will remain cheap for a while. New Brunswickers will benefit from those cheap prices under the proposed deal. Where is Mr. Alwardâ€™s proposal for bringing those cheap prices to New Brunswick while servicing NB Powerâ€™s debt? Premier Williamsâ€™ opposition actually comes from another source that has nothing to do with New Brunswickers or their interests; the politicians in Fredericton should make sure they know what theyâ€™re getting into before following this pied piper. Premier Williams wants to build a big hydro project on the Lower Churchill in Labrador and sell the power for top dollar. He fears that anything that reinforces Quebec Hydroâ€™s dominant position in eastern North America makes that project less likely. But Premier Williamsâ€™ ephemeral dream to press ahead with Lower Churchill cannot proceed in todayâ€™s circumstances. This is not because of opposition from Quebec, but precisely because power prices are low and will stay that way for a while. Whatever other virtues Lower Churchill has, its power once delivered to paying customers would be very dear. Taxpayers in that province should be relieved, not outraged, that Nalcor, Newfoundlandâ€™s Crown energy company, is not out in the market the trying to sell costly power right now. If the Newfoundland government could find the will to be constructive, it would set out terms for the design for a future transmission tolling agreement that allocates costs fairly, moves new Labrador power to market most efficiently, permits Quebec to earn a reasonable return on any prudent investment it makes, enshrines Newfoundlandâ€™s right to market access, and establishes an armâ€™s length dispute resolution mechanism. An excellent model for a deal would be to follow the lead of the transmission access requirements of the U.S. Federal Energy Regulatory Commission that already governs Quebecâ€™s exports. 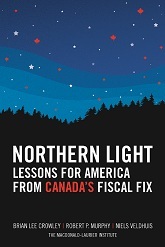 If and when the economics of Labrador power development turn around, the challenging transmission riddle would then be solved.